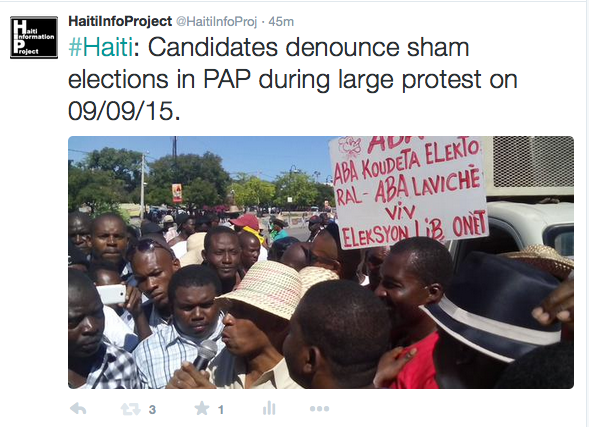 the annulment of recent parliamentary elections and an end to corruption in Haiti. 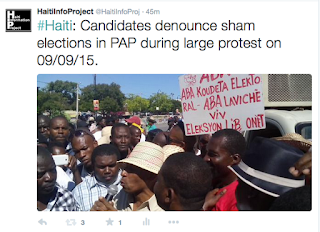 I am writing to ask you to consider making a tax-deductible contribution to the Haiti Information Project (HIP) and our efforts to provide news and analysis of Haiti’s next elections. 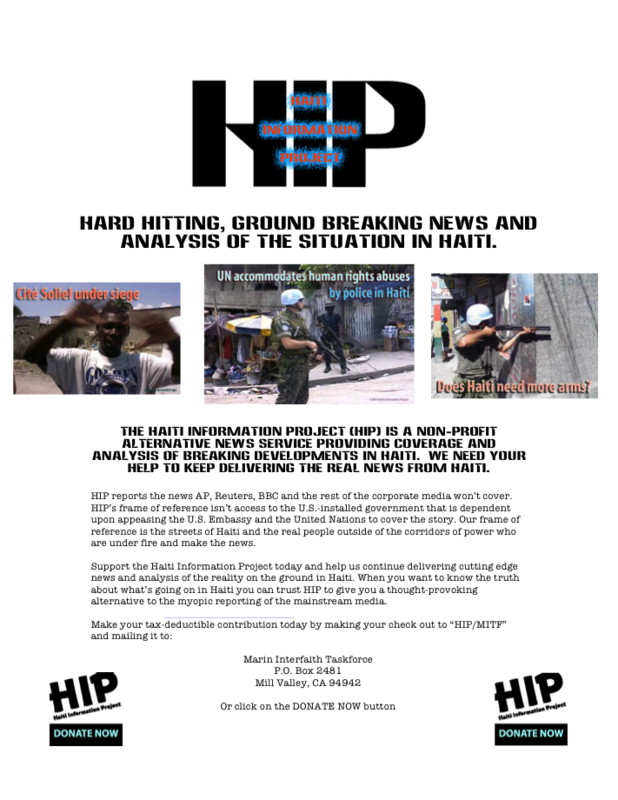 HIP is a collaboration between US and Haitian journalists and is one of the few sources of alternative news and information from the perspective of grassroots communities in Haiti as they struggle for local and national sovereignty. HIP regularly informs the reporting of nationally syndicated news radio shows such as Flashpoints on Pacifica radio and Sojourner Truth at KPFK in Los Angeles. It also provides regular updates and analysis of events in Haiti through the HIP blog and the HIP Twitter account with nearly 5000 followers. You can make a tax-deductible donation to our efforts through our fiscal sponsor, the Marin Interfaith Taskforce on the Americas. Simply designate the amount you’d like to give at the top of the form and under Program, check other and type in HIP to make sure our program receives the funds. In addition to providing news and analysis, HIP reporters on the ground in Haiti also contribute historically valuable video footage. 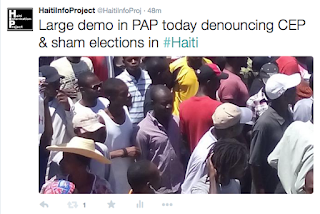 As you may already know, my past documentary films on Haiti have focused on the context of elections in 1990 and 2000. Haiti: Harvest of Hope traces the history of elections and social movements in Haiti that ultimately led to a Catholic priest, Jean-Bertrand Aristide, being elected in 1990. 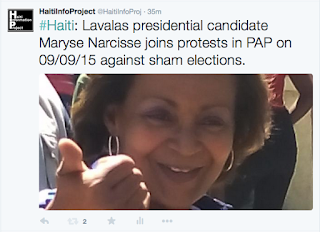 Haiti: We Must Kill the Bandits has as its center the 2000 elections where the Lavalas party won most of the local and national contests culminating in the re-election of Aristide for a second term that same year. Both of these widely viewed documentaries cover the aftermath of these elections with Aristide overthrown in a brutal military coup in 1991 and then being ousted and forced on a plane by US Marines in 2004. Aristide’s party, Fanmi Lavalas, had been excluded from all elections following the second coup of 2004 and is only now re-emerging to participate in Haiti’s democratic process. Footage from HIP reporters on the ground in Haiti will also allow me to produce another short documentary updating and telling the real story behind mainstream news headlines. Please feel free to contact me should you have any questions.